19 OctHow Can I Write a Good Blog? 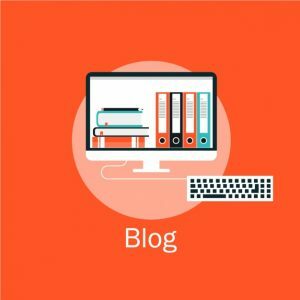 How Can I Write a Good Blog? So, we will talk about the tips. However, before continuing for giving the tips, we will inform you about the article writing style. Actually, there are 2 styles that are usually used: Journalistic and Summary styles. Journalistic style will give the main information at the beginning and the supported information will be placed in the middle or last. Meanwhile, the summary styles is like the news article where you have to give the detail information and then readers will decide whether they will read all the details or only the summary. A good blog is a blog that has a lot of readers and most articles that are loved by Google. That is why; for making a good blog, you have to make a good article as well. Below are some tips on how you can write a good blog. How Can I Write a Good Blog? The main thing that you have to know is by putting the keywords on the article’s title. Besides that, try for placing this keyword on the front part or the first words on the title. Placing your keywords on the URL is also the other thing that you have to do. For this case, you may not be worried because most blog platforms provide a facility where the article URL will be suited with the title automatically. Besides that, make sure that you are also placing the keywords on the first 100 words on your article. How Can I Write a Good Blog? For making a good article for your blog, make sure that your article contains at least 600 words. It will be better if it was contained more words. This is based on a fact that Google loves a long article with many details reviews. Whatever the topics that you have, make sure that you attach the relevant picture. Actually, using only a picture is necessary, but more than one picture is better. This thing is also better for your blog appearance. One thing that you may not forget is placing or filling the ALT attributes. Internal Link and External Link. Placing link to the other relevant articles with our blog is also an important thing to do. This thing can help the search engine and also the readers for exploring our blog more. How Can I Write a Good Blog? Many people said that placing an external link will reduce the quality of your article, but in fact it wasn’t. Placing some external links can help your article as long as they used the nofollow attributes, never use the target keyword as a text anchor, placing link to blog or authority sites such as Wikipedia. Loved by Google is great, but loved by readers is the number one.